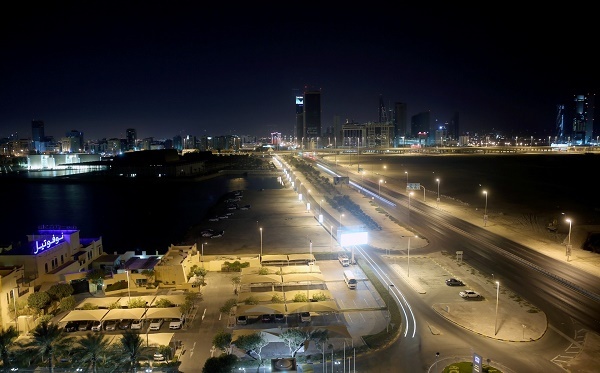 The Kingdom of Bahrain is one of the top expat destinations in the Gulf region. It has the freest economy in the Middle East, a fast-growing financial centre, and a high Human Development Index. 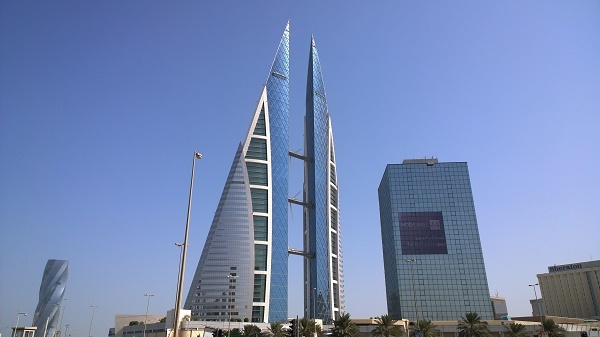 Bahrain, a post-oil economy, has invested heavily in the banking, finance and tourism sectors, which are currently the pillars of its continuous economic growth. The Kingdom is home to more than 1.3 million people, with expats comprising more than half of population. Indians, mostly holding blue-collar jobs, make the largest expat group in the country. 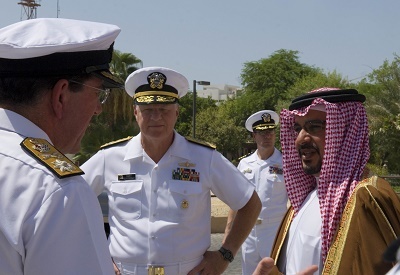 Bahrain is a Muslim country and a conservative society. Foreigners are advised to observe laws on modesty and other important customs while in the country. Here’s a quick guide on practical things about this Arab destination. Foreigners from Gulf Cooperation Council countries (Kuwait, Oman, Qatar, Saudi Arabia, United Arab Emirates) are free to visit Bahrain without any visa. Otherwise, you would need to apply for a visa. Your visa application is assessed based on the purpose of your visit, any applicable sponsorship requirement, the place of issue and the number of visits. Visas may either be standard, which has a visible stamp on the passport, or eVisa, which has no visible label. Sponsored visas are arranged by the sponsor such as the employer. For unsponsored visits, you may apply for a Visit eVisa through the official website of the Bahrain’s Nationality, Passport and Residence Affairs. You can also secure an eVisa upon arrival at the border or the nearest Bahrain embassy. Foreign residents of GCC countries may visit with an eVisa valid for two weeks if travelling through Bahrain International Airport. An F1 Visa is issued specifically for those attending the F1 Grand Prix event at Bahrain International Circuit. This visa is typically issued to photographers, journalists, team members and other officials associated with the event. Bahrain does not impose any personal income tax, however employees are subject to social security contributions. Currently, contributions to the Social Insurance Organization (SIO) is as follows: 19% for Bahrainis (12% employer; 7% employee) and 4% for foreigners (3% employer; 1% employee). The contributions, which are calculated on employees’ monthly salaries, are remitted to the SIO each month. There are neither consumption taxes nor net wealth taxes in Bahrain. Moreover, capital gains and investment income are not subject to tax. The only taxes individuals may be subject to as stamp duties, customs duties and municipal taxes. There two seasons in Bahrain: summer (April to October) and winter (November to March). The temperature in summer can go as high as 48 Celsius (118.4 Fahrenheit), bringing a combination of extreme heat and dry wind. The winter season is relatively mild with temperatures dropping between 10 and 20 Celsius (50-68 Fahrenheit). However, humidity usually skyrockets during this period. The “shamal” wind blows damp air from the south-east region. Similar with other territories in the Middle East, the Kingdom receives little precipitation. There are no permanent rivers in Bahrain, but you can find natural springs in the northern areas. Rainwater is saved for irrigation while natural springs remain an important source of drinking water. Bahrain experiences periodic droughts and dust storms. Exposure to dust storms can lead to lung infections. Protect yourself by staying indoors or covering your nose and mouth with a mask when going out. Wear airtight goggles to prevent eye infection and drink lots of water to keep your body hydrated. Bahrain may be popular for the F1 Grand Prix, but do you know that the archipelago is home to stunning cultural sites? The Kingdom has a long history dating back to the Bronze Age. It was first occupied by the Dilmun civilisation, later ruled by the Assyrians and Babylonians, and became part of the Pesian Empire. In the late 1800s, Bahrain was dominated by the Britons. The Kingdom declared its independence in 1971 and joined the United Nations. Bahrain’s long history is preserved by important sites. Visit the Bahrain National Museum for a wide collection of artefacts from the 3rd century. Beit Al Qur’an is regarded as one of the top Islamic museums in the world. It houses rare Islamic manuscripts, books, gold and copper pottery, and other forms of Islamic art. When moving to Bahrain, expats will find that the local women don a long colourful material called Jalabiya and a black gown known as Abbaya. Men wear a long white garment called Thouwb and a small cap with a white striped cloth called the Ghittrah and Ougall. The two main Islamic celebrations there are the Eid-AlFitir which is the Ramadan and the Eid-AlHajj wherein they would visit Mekka. They also celebrate National day held on the 16th of December. Most people’s names in Bahrain are from traits and characteristics that the parents would want for their children. Most often females are named after physical traits and beauty such as “Hafya”, meaning slender, and “Hameed,” meaning thankful. Nepotism is viewed positively when searching for a job in Bahrain because they want to hire people they can trust and rely on. For them, the family is very private, so avoid very prying questions. It is also common and traditional for very large and extended families to stay or live together in one house. Most women in Bahrain are not so covered in their outfit, but there are some that still wear a head covering or what we called as veiled. 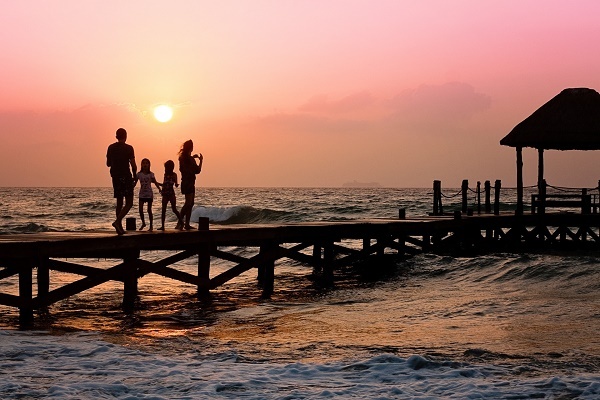 Bahrain is a melting pot of nationalities, thanks to its vibrant expat community. You can enjoy cuisine from various parts of the world including Pakistan, India, Thailand and the Philippines. There’s a long list of restaurants offering Chinese, Italian and Lebanese gastronomic delights. It is said that authentic Bahraini cuisine is only available in a Bahraini household. The local diet consists of rice, fish, dates, flat bread called khubz and dairy products. Bahrainis love strong flavours. Most meals are flavoured with hot pepper, cinnamon, saffron and lime. During special celebrations, families prepare sheep stuffed with rice, potatoes and lots of spices. Whether you have a vintage chic style or a modern minimalist taste, Bahrain has every clothing, accessory and decors for you. Manama Souq is one of the most popular tourist destinations in the capital. It offers a menu of choices for clothes, electronic goods, nuts and spices, sheesha bottles and other Bahraini products. The Souq houses the Gould Souq, Kingdom of Perfumes, World of Herbs and others. For international brands, Bahrain City Centre is the place to be. 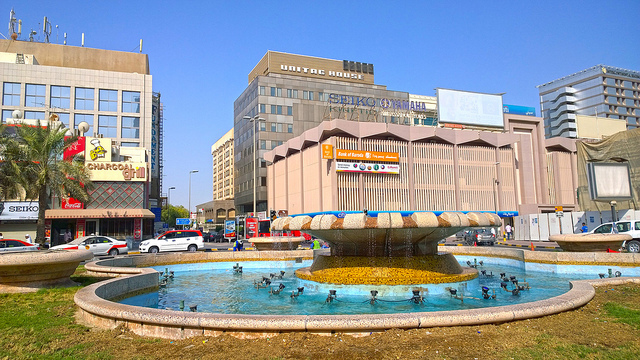 It also features a cinema complex, a food court, and a Carrefour supermarket. Many foreigners love shopping at Suq al Qaisariya for its collection of traditional old shops. It is located at the heart of Souq Muharraq, which dates back to the 19th century. Traditional Bahraini products such as spices, tea, fabric and pearls are sold in the historic market. The government is restoring Souq Muharraq into its former glory under the “Pearling, Testimony of an Island” project. Make the most of your stay in Bahrain by joining festivals across the country. The Ta’a Al Shabab is an annual event that features Bahraini art forms including theatre, fine arts and music. The Ministry of Culture organises the month-long festival to encourage youth involvement in cultural pursuits. The Bahrain Summer, Spring of Culture and the Heritage Festival should also be on your calendar. Bring your family to the Bahrain Summer Festival for a captivating display of Bahraini folk music and dances. There are open air shows that appeal to foreigners. The Annual Heritage Festival showcases Bahrain’s basket weaving, pottery and handicraft product. Traditional music is played during the event as well as educational shows featuring pearling, diving and other aspects of Bahraini lifestyle. There are also iron, wood and paper products, as well as artistic Arabic calligraphy. When relocating to Bahrain, shipment regulations must be followed religiously to avoid inconveniences when importing possessions from home. Expats who are planning to move to Bahrain will find that they need to comply with shipping regulations when packing for an international move. Requirements will include documents such as the shipper's passport, visa, valid identification card, flight ticket, credit card or travelers check and more. Removals to Bahrain also entail other obligations including duties for certain items including alcohol, perfume, cordless telephones, videocassettes, foods, tobacco and new items which are all subject to inspection. Drugs, pornographic materials, pearls, explosives, firearms, Israeli products, materials that are politically and religiously offensive to Islam and the government, and wireless transmitters are strictly prohibited. In Bahrain airports, all liquids, gels and aerosols are allowed but not more than 100 ml each may be shipped. These items may also be accepted provided they are in resealable plastic bags. Those who are on maintenance medications should bring prescription medicines and are duty-free provided that these are in reasonable quantities for personal use. In general, dutiable items include new items, for which purchase invoices will be required, tobacco, alcoholic drinks, perfumes, electronic gadgets including cordless telephones and foodstuff. Violators of shipment regulations or those caught sneaking in items that are otherwise restricted or with duties or taxes are subject to severe penalties and even possible jail term. All involved items will be confiscated or shipped out at the expense of the one responsible. Printed matters like books should be packed separately or they will be confiscated. To be on the safe side, removal companies, specifically movers in Bahrain, can offer valuable guidance and tips regarding overseas shipping.